This simple and pleasant holiday home is ideal for relaxation in the heart of nature with family or friends. Away from the noise and crowds enjoy this hidden place. This simple and pleasant holiday home is ideal for relaxation in the heart of nature with family or friends. Away from the noise and crowds enjoy this hidden place. 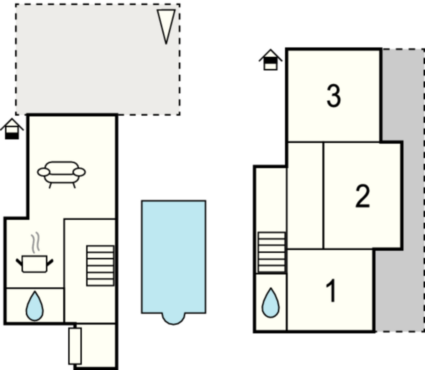 The house consists of two floors connected by an internal staircase. Upstairs is a bedroom area, on the ground floor kitchen and living room with access to a large terrace, and there is a pool for the perfect atmosphere. However, if you feel like meddling into crowds, drive to the coast, where you can visit the beautiful beaches and enjoy a tour of historical sites in the cities of Trogir and Sibenik. Lovers of the exceptional natural beauty should not miss a visit to the national parks Krka and Kornati. This modern villa is made from brick or stone and was originally built in 2005 and refurbished in 2015. The agent has rated it as a three star property so it is a well-kept villa, equipped with standard furniture. It is also good value for money. 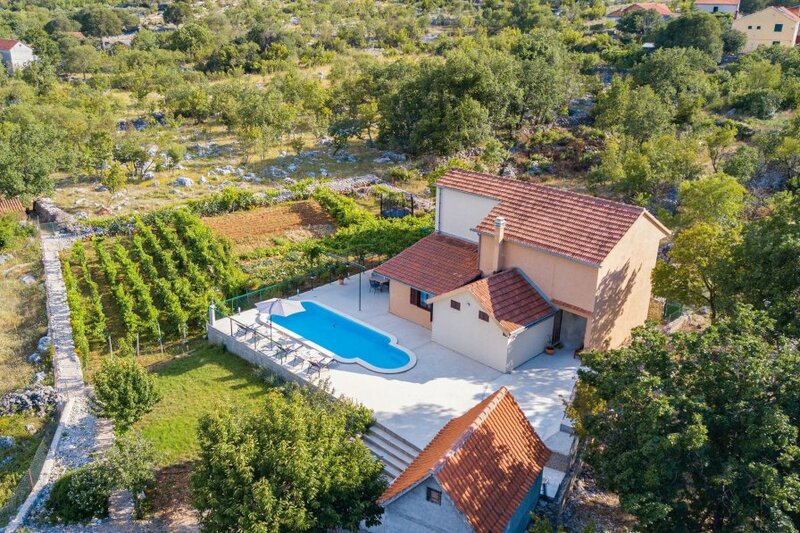 This villa has a swimming pool and is located in Mravnica, 20km from Sibenik. It is set in a good location: there is a restaurant 3km away.